Amsterdam is one of those places that you need to experience at least once. I’ve been and I loved it. It’s a vibrant, bustling city with lots to discover on every corner. When it comes to city breaks, they can be a tad expensive. But, that doesn’t have to be the case with Amsterdam. In fact, this is one city where you can do a wealth of things for free. What’s more, you can tie in your foodie delights within the trip too. After all, you don’t want to break into your wine budget! There are some great things that you can do in Amsterdam on a shoestring. Let’s find out more about awesome Amsterdam and eating out the, Dutch way. There are a load of free walking tours within Amsterdam that you can be a part of. These operate on a daily basis. Head to Dam Square at midday to see the sights of what Amsterdam has to offer. You can take a relaxing strolling around Amsterdam with your friends. These take around three hours to complete, but they are a great way to soak up the excellent Dutch weather. Head to Singel 404 for a true taste of Amsterdam. They serve all of the traditional Dutch cuisine, but on giant sharing platters. Breads, wine and cheese are the perfect lunch. Despite the incredibly long name, Amsterdam is the home of free and live entertainment. During the peak summer months, free, open air concerts take place. These are a must for any culture vulture. You can sample the food, wines and watch the shows that are put on the centre of the city. The street food is a must with the Concertgebouwplein! Try the delicate rice pastries for a true taste of Amsterdam. 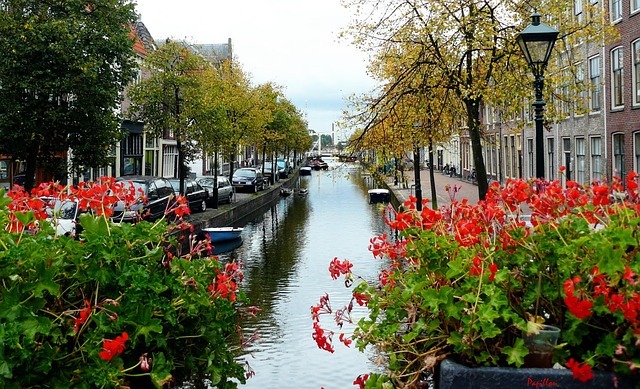 Many European cities have luscious green spaces, but none is as beautiful as what Amsterdam has to offer. Vondelpark is a must for locals and tourists alike. The area is packed with benches, tea rooms, serving cakes and caramel waffles. Alcohol can’t be drunk in the park, but it’s a great place to indulge in broodpap. Broodpap is a kind of banana cake and it’s simply divine! Vondelpark is something of a hub of activity in the region and is a great spot to unwind. Many locals take picnics to the area. Usually, picnic baskets are stuffed with gouda, red wine and balkenbrij, which is a bit like meatloaf. Boat trips are a must in Amsterdam. Canals are in abundance, and it’s a great way to explore the city in an entirely unique way. The free ferries and boats can transport you to the more unique, quirky and underestimated part of the city. They don’t take long either! Within 10 minutes, you can be in Buiksloterdijk. This is the home of stamppot, a mashed vegetable medley. It’s perfect for warming you up on a cold, wintry evening. What’s more, accommodation is cheaper in this area too. Check this out for more information on accommodation within this area. One thing that Amsterdam is famed for (no, not that!) is its abundance of street markets. The streets are lined with craft markets and street food. One of the most amazing things about the markets, especially in the morning, is the suikerbrood. It’s a rich, white bread. The smell is amazing when you head to the markets first thing. However, one must-see for any newbie to Amsterdam is that of Bloemenmarkt. The flower stalls are simply beautiful, and the aromas of the blooms fill the street. There markets are happening places within Dutch culture. If you want to live like a local on your holiday, this is the best way to do it. Plus, you can spend as little or as much as you like! Amsterdam is a buzzing, vibrant city. Make the most of your stay and watch the pennies in the process. You can eat like a queen for a few Euros!